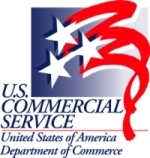 This April 2011 “education mission” to Indonesia and Vietnam, organized by the US Department of Commerce and described below, is most suitable for newcomers to the Vietnam market. Check out the BuyUSA.gov website for more information. On a side note: this event should dispel any doubts you may have had about the importance of education and these two countries as they relate to US policy priorities in Southeast Asia. Ambassador Michael Michalak, who is leaving in the next month after nearly 3.5 years in Vietnam, during which time he was known (and frequently referred to himself) as the “Education Ambassador,” hosted three education conferences in 2008, 2009 and 2010. (There are links to conference reports in the Documents section of this blog.) His successor will host the fourth education conference on Monday, 11 April in Hanoi immediately following the Vietnam portion of this education mission. The mission will introduce U.S. Higher Education representatives to international students and university and recruitment partners in two of the fastest growing markets in Asia. Although all appropriately accredited schools are urged to apply, the focus will be on undergraduate studies, English language programs and community colleges. The mission will include student fairs; education sector briefings; meetings with local universities, challenges, and marketing strategies for each market.